In a video message intended for the tens of thousands of men and women working to keep drugs and people from illegally entering the United States, then-Deputy Border Patrol Chief Ron Colburn wanted to leave little doubt about the consequences for those who betrayed their mission. The video ended with the sound of a prison door creaking and slamming shut. But whether most — or even a significant fraction of — corrupt federal border agents really are caught and punished is an open question. In recent years, Customs and Border Protection — the $12 billion law enforcement agency within the Department of Homeland Security in charge of guarding the nation’s borders — has turned to polygraph tests and behavioral research to weed out criminals in its ranks. Background checks are now repeated every five years to make sure agents still pass muster. But the behemoth agency will reveal little about what those efforts have accomplished. And there is almost no public data to show that its efforts have stemmed the flow of drugs, undocumented immigrants and illegal goods facilitated by the very people whose job it is to keep them out. “CBP must be proactive in its approach if it is to prevent corruption from taking root,” the Homeland Security Advisory Council wrote in the report, released in March. The agency declined The Texas Tribune’s request to interview officials about its anti-corruption efforts. In statements, CBP has said it takes corruption allegations seriously and that those engaging in misconduct make up a tiny fraction of its workforce. Data compiled by CBP show that close to 180 of the agency's employees were arrested, charged or convicted on corruption charges between October 2004 and October 2015 — less than one-half of a percent of its 44,000 law enforcement officers. Still, outside observers and some homeland security officials have said the dozens of CBP personnel convicted isn’t a true measure of the extent of corruption. On paper, it’s not easy to become a Customs and Border Protection officer or a Border Patrol agent. CBP officers work at airports, seaports and official ports of entry; Border Patrol agents work the spaces in between. But the system has its weaknesses, reports and officials have said. And it didn’t help when the agency embarked on a massive hiring surge — prompted by national security laws signed in the wake of 9/11 — that swelled the ranks of CBP officers and Border Patrol agents from 27,000 in 2001 to 43,000 today. Most of those new hires occurred between 2006 and 2008, and the agency has admitted it may have gone for quantity over quality in some cases. 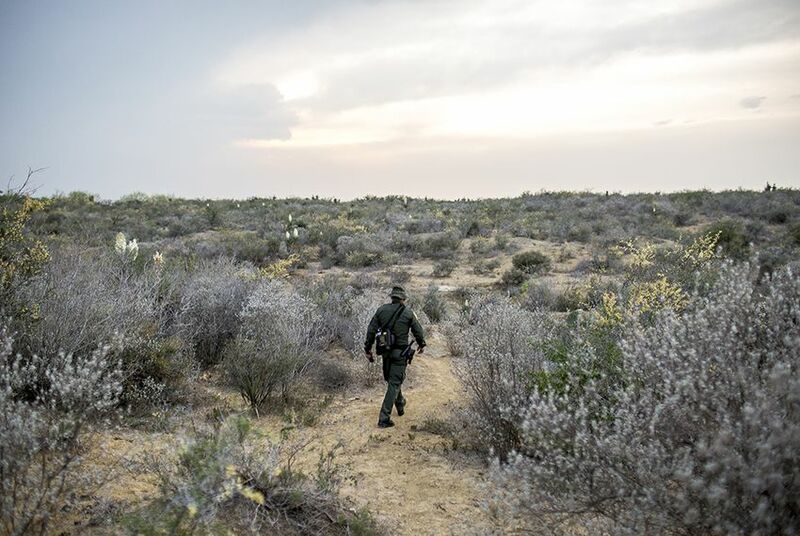 “No one in the senior leadership of CBP was willing to stand up to the White House and say, ‘We can’t hire this many people safely in this short a period of time,’” said Shawn Moran, vice president of the Border Patrol's main union. Internal affairs officials later told the Government Accountability Office that five-year reinvestigations fell by the wayside during the hiring push “because resources were focused on meeting mandated hiring goals.” By 2010, CBP was overdue on more than 15,000 of the five-year checks, the GAO report found. 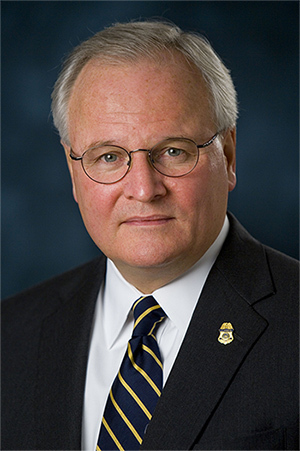 Former CBP internal affairs chief James Tomsheck also said that the private companies contracted to do background investigations — one of the pricier aspects of the CBP hiring process, at $3,200-$3,600 a pop — were cutting corners. An email he sent to the agency detailing his concerns with the hiring and vetting process shows that CBP was aware of the issues back in 2008. The Anti-Border Corruption Act of 2010 beefed up the vetting requirements further, requiring lie detector tests for all applicants and strengthening the mandate on five-year reinvestigations. The agency says there is no longer a backlog of those periodic checks. The impact of those changes is unclear. CBP is supposed to provide Congress with regular reports of its progress in complying with the 2010 law. The agency has not responded to a Freedom of Information request from the Tribune for those reports. A staffer for U.S. Rep. Michael McCaul, R-Austin, who chairs the House Homeland Security Committee, declined to provide the reports, saying they are “for official use only.” McCaul’s office did not respond to requests for an interview. Few dispute that CBP’s hiring and vetting practices have improved. But Tomsheck and others worry most about who was hired between 2006 and 2008 — when the hiring and vetting processes were at their weakest, they say, and when drug cartels and other criminal organizations were recruiting people to apply for jobs and infiltrate the agency. And major gaps still remain in the vetting process. For instance, background investigators don't look up an applicant’s criminal record in countries outside the United States, CBP has said. That may be one reason John Paul Yanez-Camacho, who pleaded guilty to improperly using law enforcement data as a CBP officer in 2009, was hired even though he ran a nightclub owned by a suspected drug trafficker in a Mexican border town, according to public records provided by the agency and news reports. It’s also likely a reason that CBP didn’t discover that some of its employees had two birth certificates, and therefore questionable U.S. citizenship, until after they had been arrested on corruption charges. Despite facing harsh criticism for its handling of corruption allegations, CBP has garnered a lot of credit for its extensive efforts to root out problems, which have cost $166 million according to a 2012 report. Recent reports have commended CBP for its practice of randomly reassigning CBP officers to different stations and inspection lanes to make it harder for smugglers to depend on a corrupt officer at a specific location. The agency also limits its officers' ability to use cell phones. CBP also has a Division of Threat Mitigation that studies corruption cases to find patterns and prevent good agents from going bad. And the agency analyzes data on cross-border activity at different locations to see if it can identify “red flags” indicating corruption before anyone else can. The agency produces regular reports — some weekly — on these efforts. None of them have been made publicly available. A Freedom of Information request submitted by the Tribune for the reports in January has gone unanswered. Tomsheck, who pioneered some of the research programs, said they are valuable but that drawing conclusions on what causes corruption or how to stop it was difficult. A November 2015 report on CBP’s complaints and discipline system by an outside consulting group said the agency could do a better job of reporting its findings on misconduct. Rooting out corruption and misconduct in CBP requires a well-functioning and fully staffed watchdog unit, and critics say that’s the opposite of what the agency has now. Ever since the sweeping reorganization of national security agencies post 9/11, CBP has lacked enough internal investigators. Today it has about 200 — fewer than half that of the New York Police Department, even though NYPD has only 34,500 officers to CBP’s 43,000. The agency plans to hire more. But questions remain about their authority. For a full decade after the CBP was created, its investigators were only permitted to look into administrative violations — not criminal ones. In 2014, CBP’s Internal Affairs Office finally received permission to conduct criminal investigations. But the Office of Inspector General at DHS still has the authority to do investigations, too, and turf wars continue between various agencies over who is in charge of investigating corruption among Border Patrol agents and CBP officers. The same report also criticized the agency’s ways of probing misconduct. “CBP cannot ensure its investigative operations are being carried out in an efficient and cost-effective manner,” the inspector general's office at DHS wrote. Last year, the Homeland Security Advisory Council urged CBP to hire 350 more internal investigators “at a minimum.” Since then, however, the agency has only made plans to add about 100. The Department of Homeland Security says there’s no data to support that claim. If anything, DHS said, there is a “general downward trend” in corruption-related arrests within CBP since a “spike” in 2009. Indeed, fewer CBP officers have been arrested for corruption in the past couple of years than during the peak time of 2009-2010. But Tomsheck interprets that data point differently. “Corrupt agents and officers within the ranks of CBP are more cautious” than they were before, he said, so they’re not getting arrested. Andrew Becker, of Reveal from the Center for Investigative Reporting, contributed to this report.